THE case against Borce Ristevski was adjourned today to give his lawyers time to wade through 22,000 pages of evidence. 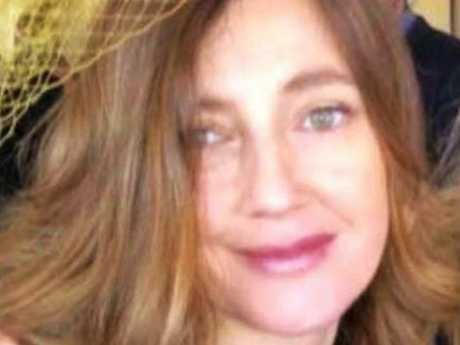 Mr Ristevski, 53, appeared in the Melbourne Magistrates' Court via video link from custody, where he is charged with the murder of his wife, Karen Ristevski. He wore glasses and a dark blue suit and tie and said little as a magistrate set a date for his next appearance. He will return to court on May 16 for a second committal mention. Mr Ristevski's lawyer, Sam Norton, said his team had been granted legal aid funding on Tuesday but needed more time to read through the Crown's case. The 22,000 pages of evidence includes witness statements, transcripts of telephone recordings and listening device material. 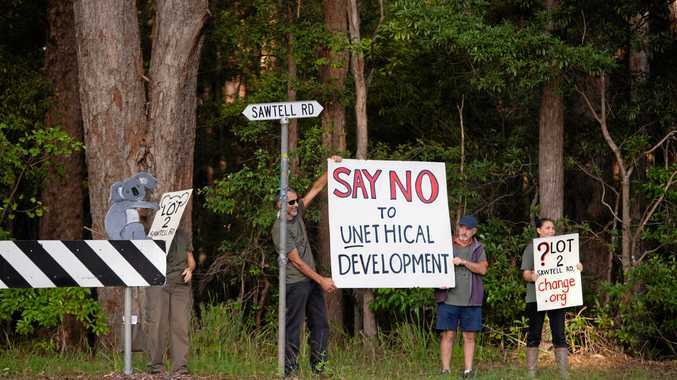 "There's a range of different topics, this isn't a straightforward brief, setting aside the sheer scale of it," Mr Norton said. He said examining CCTV will in itself "take a lot of time". Today's hearing was the first time Mr Ristevski appeared in court since he was arrested and charged with the murder of the 47-year-old fashion identity. He was arrested at 7.20am on December 13 by detectives from the Missing Persons Squad. His wife went missing from the couple's $1.1 million Avondale Heights mansion, in Melbourne's northwest, on June 29, 2016. 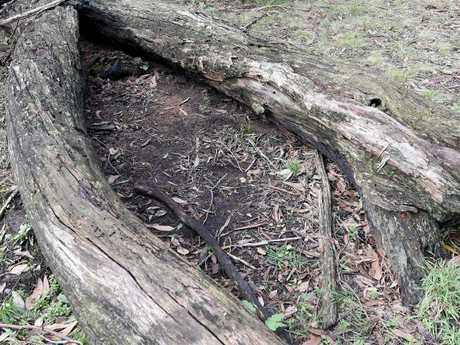 Her remains were discovered between two logs in bushland in the Mount Macedon Regional Park almost eight months later, on February 20. Mr Ristevski has told police his wife went for a walk to "clear her head" after a minor argument about money, but never returned. He reported her missing the following day. Police have never released the cause of death. During a four-minute hearing in December, a day after Mr Ristevski was reportedly bashed in prison, he made it clear through his lawyer Rob Stary he would be enter a plea of not guilty. He did not make a formal plea today. Mr Ristevski has strenuously denied any involvement in the case that gripped Australia for 18 months. 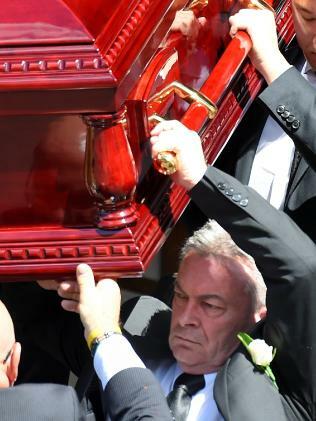 He was a pallbearer at Ms Ristevski's funeral at Essendon in March last year and previously spoke alongside grieving family members, pleading for information about his wife's disappearance. Karen Ristevski was 47 when she was murdered. 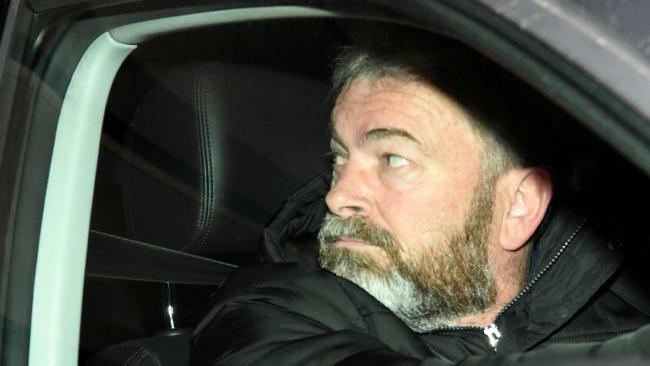 Mr Ristevski later told police that after his wife walked out, he drove her 2004 Mercedes-Benz SLK coupe to a garage to fix a faulty fuel gauge before the fault corrected itself and he returned home. 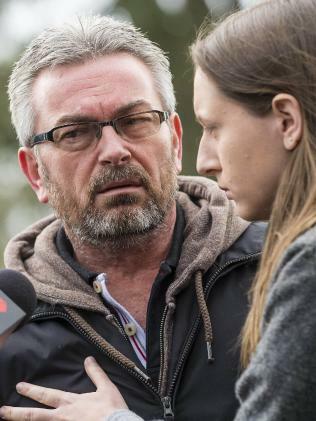 The family held a press conference on July 14 last year that was quickly shut down after a reporter asked Mr Ristevski directly: "Did you kill Karen, Borce?" The couple's daughter Sarah, then 21, immediately burst into tears. Sarah Ristevski has maintained her father's innocence throughout the investigation. 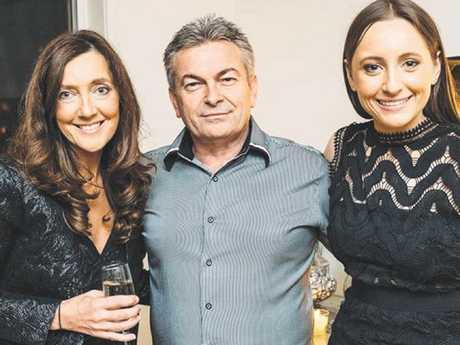 Karen, Borce and Sarah Ristevski. Sarah has maintained her father’s innocence throughout the investigation in her mother’s disappearance and murder.